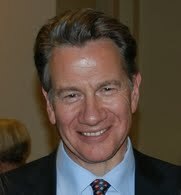 It took Michael Portillo little more than 10 years to get a seat in the Commons and then rise in power and esteem to a point where he was a favoured leader of his party and possible future PM. A track record like that suggests to many a privileged friend of the rich and famous with little or no understanding or care for the ordinary citizen. But since leaving the house almost a decade ago Michael has endeared himself to many with his obvious respect for solid workmanship like our Victorian Railways and his obvious care for the underprivileged (Michael becomes a Single Mum 2003)and the troubled (Death of a school friend 2002) . Listen to his extraordinary story and then feel free to question him about it.